Find out where to park your car if you are attending an appointment at either the Nuffield Chesterfield or Spire Bristol Hospital. The lower part of the main car park is open Monday to Friday 7am – 9pm and Saturday and Sunday 8am to 6pm. The upper part of the main car park is open Monday to Friday 8am – 9pm and Saturday and Sunday 9am to 6pm. If you leave after these hours, the bollards will go down as you approach. If you are arriving before 7am, please park in the small short stay car park in front of the old villa building before working around to the main entrance accessed through the main car park. 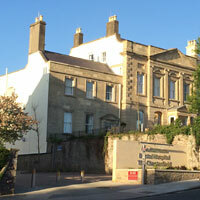 Spire Bristol Hospital is approximately two miles from the centre of Bristol in the Redland area of the city. 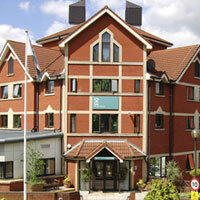 The hospital can be accessed by either the M4 or M5 motorways or by Temple Meads or Parkway train stations. Follow the A4018 for Bristol West and Bristol Zoo for approximately four miles.With the Downs and water tower on the right, you will come to a roundabout on this road. Take the left hand turn into Redland Hill and immediately turn left into Spire Bristol Hospital. Follow the M32 leading into Bristol.Take the M32 into the city centre and then follow the signs for Clifton and the A4018. At the top of Whiteladies Road, bear right for Redland to find the hospital.